Samesun Banff i Banff, Canada: Reservér nu! 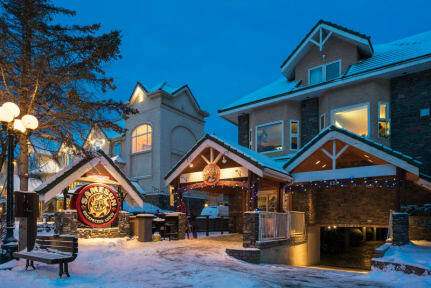 Explore the breathtaking scenery of the Canadian Rocky Mountains with your home in the heart of Banff. 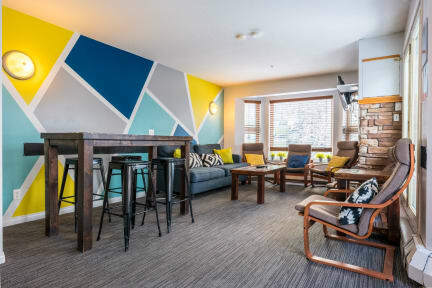 Centrally located and top rated, our hostel boasts spacious dorm rooms, most with amazing views of the Rocky Mountains, daily activities, and an onsite bar. Our friendly and knowledgeable staff can help you with lift passes and transportation options to skiing at Sunshine Village, Lake Louise and Norquay. Or if you’re here in the summer, we can help you get to our favorite places at Lake Louise, Moraine Lake, Emerald Lake, Banff Hot Springs and more! Enjoy hiking, mountain biking, kayaking, horseback riding, scenic gondolas and many more outdoor activities. And after a fun day out, come on back to our Beaver Bar for a bite and a beer where we host nightly events including karaoke, music bingo, live music and weekly trivia! With cheap eats and Happy Hour every night, it’s one of the most fun places to eat and drink in Banff.